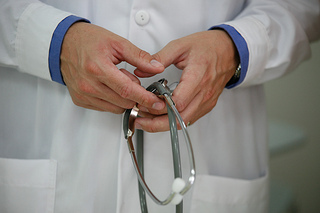 Kickbacks to physicians are one of the most concerning forms of Medicare fraud. Why? Kickbacks to doctors create mixed incentives. Instead of being guided by concerns for their patient’s welfare, the doctors may be tempted to make choices, from seemingly innocuously ones to which lab to use to run a test to more important ones like whether or not to run that test at all, based on money. Certainly, money matters to doctors, like all of us, especially given the enormous financial burden of so many years of education. However, kickbacks make decisions unduly complicated and create unnecessary conflicts between profit motives and patient care. When whistleblowers partner with our Northern California anti-kickback law firm, we can fight back. Earlier this fall, The Wall Street Journal reported on a medical lab in Virginia that appears to be trying to use a loophole to pay doctors for sending them blood for testing. Health Diagnostic Laboratory Inc. (“HDL”) opened in 2008 and totaled $383 million in revenue for 2013 with 41% coming from Medicare. HDL sells tests that measure biomarkers that may predict heart disease, bundling together up to 28 tests per vial of blood. Medicare pays HDL $1,000 or more for these services and, until June, HDL in turn paid doctors $20 per sample which was much higher than other labs paid for similar services. In June, the Department of Health and Human Services issued a Special Fraud Alert warning that these payments could present “a substantial risk of fraud and abuse under the anti-kickback statute.” The Alert is part of a larger investigation into HDL and other labs that allegedly paid physicians for cardiac-biomarker testing. Medicare suggests that a $3 fee fairly compensates providers for performing a blood draw. HDL denies any wrongdoing while the government questions whether the higher fee could give doctors an incentive to order tests that aren’t medically warranted. Notably, many labs use their own technicians for blood draws to avoid possible conflicts. HDL says its fees cover the draw plus packing and handling. One provider, who also served on HDL’s medical advisory board, submitted 120 claims for 12 patients in 2010 and received $23,580 in the first half of the year alone. In a related piece, the WSJ provides any easy-to-understand discussion of Medicare’s antikickback rules. The “What to Know” question and answer notes the law is focused on preventing fraud and abuse by making it illegal to pay for referral of federal program health care business. A “safe harbor” provision protects certain established practices. One such exception, the “personal services and management contracts” safe harbor, involves compensating doctors for certain services that the doctor performs. However, the payment must not be more than the fair market value of the service performed (i.e. paying the doctor for drawing the patient’s blood and sending it in for testing). Whether HDL violated the law remains to be determined and the government is investigating. If you suspect Medicare fraud in the Northern California region, including if you believe a doctor’s medical expertise is being tainted by illegal payments. Together we can explore the facts, discuss the law, and determine whether a health care fraud case exists. If you assist in a case that allows the government to recoup diverted funds, you may be entitled to a substantial reward.